John Dickinson was a Founder, but was also a reluctant revolutionary. He is often referred to as the “Penman of the Revolution,” because of his highly articulate and influential writings. Among Dickinson’s more famous works were a series of letters collectively know as “Letters from a Farmer in Pennsylvania,” which were published in newspapers throughout the colonies. Although Dickinson was highly critical of British colonial policy in the “Letters” and other works, he remained resolute in his attempts to peacefully reconcile colonial differences with the mother country. As a delegate to the Second Continental Congress in 1775, Dickinson edited the final version of the Olive Branch Petition in an attempt to avoid war with Great Britain. In 1776, he voted against the Declaration of Independence and refused to sign it, going so far as to state that Independence from Great Britain was “treasonous action of the most despicable kind.” Despite his opposition to the Revolution, Dickinson fought briefly with the Continental Army and served his new country loyally after independence was achieved. He served in Congress from 1779 to 1780, where he drafted and signed the Articles of Confederation. 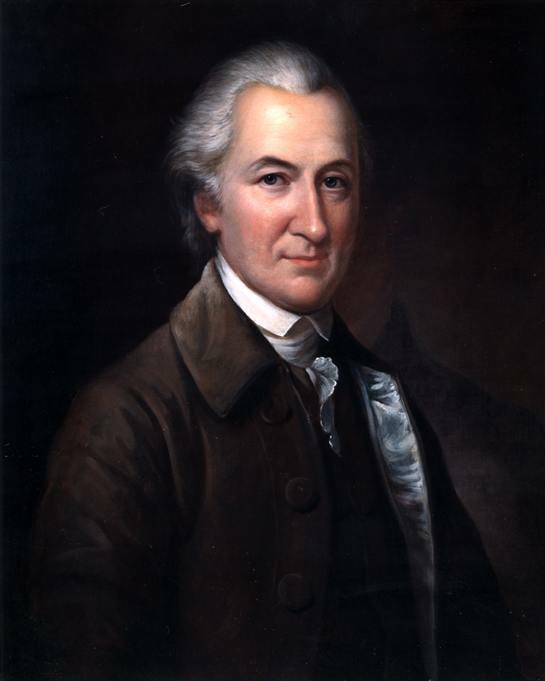 In 1786, representing Delaware, he attended and chaired the Annapolis Convention. And, in 1787, he represented Delaware at the Constitutional Convention. John Dickinson died at Wilmington, Delaware on February 14, 1808 and was buried the Friends Burial Ground.